Announcement We do not offer pickup options. All sales are final- No returns or exchanges. We do not offer pickup options. All sales are final- No returns or exchanges. 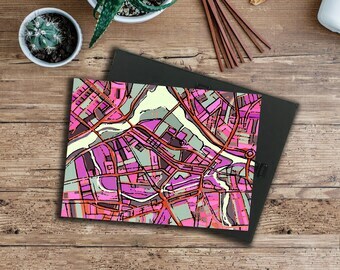 Abstract Map Print of Boston North End - Matted to 11x14"
Abstract Map Print of Cambridge MA - Matted to 11x14"
Abstract Map Print of Pittsburgh PA - Matted to 11x14"
Abstract Map Print of Philadelphia PA - Matted to 11x14"
Great item and fast shipping! Thank you! Saw Carland Cartography at a Holiday Market and purchased some of the prints as gifts. When I moved out of MA I purchased this print to remind me home. It is lovely. 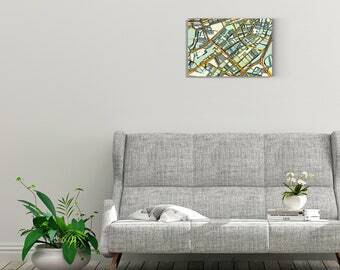 We create fine art prints of abstracted street maps. 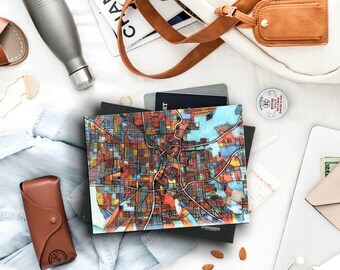 The artwork illustrated local neighborhoods as well as broad city views of various places in the world. 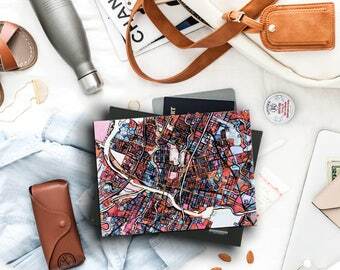 We believe that maps hold "invisible" information - they contain stories and memories that were created by the people who lived and visited there. There is a psychological connection between identity and location - location is important. We make illustrated reminders of the places people identify with - such as the town where they lived as a child or the place where they met their significant other. People love to talk about where they grew up, where they have lived, where they have visited and where they want to go next. Our prints can serve as reminders of the locations that make each person's life story special and different from anyone else's journey. Jennifer is the artist at Carland Cartography She has a MFA in visual arts and studied Urban and Environmental Policy and Planning, She creates all of the work and oversees the artistic integrity of the company. Remo has a background in Industrial & Graphic Design. He has a keen eye for color and detail and brings a certain level of direction, tenacity and critical thinking to some of the business aspects of the company. As a professional photographic & fine art vendor, they offer museum quality giclée prints on canvas and paper to local and national artists. Find CarlandCartography at the following upcoming market! Hi, Welcome to our Etsy store. We hope you will look around and find something that makes you happy. If you have any questions, let us know. Damage claims must be made within 3 days of delivery. If the piece is damaged upon arrival, we can replace it for you. Please keep all packaging, take detailed photos of the damage and contact us for further instructions to replace your prints. We accept PayPal and direct credit card payments. All payments must be received before we ship the pieces out. All prints will be sent with a tracking number. If you have special shipping requirements, please contact us prior to placing your order. We aim to get all IN STOCK orders shipped in 3-5 DAYS. A: Cartography is the study and practice of making maps. We like maps because they are tangible representations of specific locations. 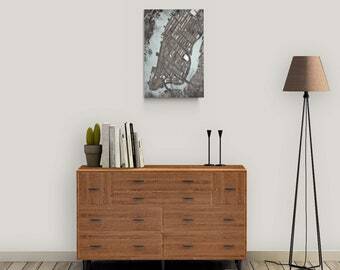 Carland Cartography creates abstract drawings of street maps. We change the focus of a map from a tool to a story. We aren’t just selling art prints- we are providing personalized biographies to each one of our customers. We are invoking nostalgia, recalling a sense of belonging and self-identity. 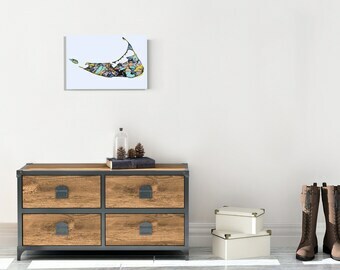 The finished pieces of artwork can serve as reminders of the locations that make your life story special and different from anyone else. A: We sell a limited selection of three sizes (8x10", 11x14" and 16x20") on our Etsy shop. Some of our work is available larger. Please visit www.carlandcartography.com for full offering. Q: Do you sell “original” work? A: Unlike traditional artistic methods of creating work on a single surface, our work is created by combining separate hand-drawn sketches. The sketches are made using a variety of artistic mediums and we plan all of the sketches to be used together as a unit to create the intended result. So, there are no “originals” in the conventional sense. 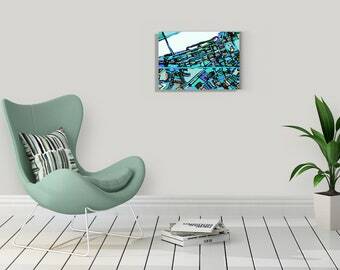 A: We Offer Several Different Product Lines, with Over 50 Abstract Maps to Choose From. We currently have (5) product lines and a selection of other work. Q: How can I be included in special offers and promotions? Q: I like this, but can I get it in a different color? A: Each piece is drawn by hand using various artistic media. Because of our process, colors cannot be easily changed. If you want a particular piece in a particular color, we have to start the process from the beginning and it is considered a custom order. Q: How long does each piece take to make? A: Each piece takes approx.10 weeks to make. Its a slow process, but we think the results are worth the time invested. Q: I live in a small apartment with NO wallspace! Do you sell other merchandise? Q: I’m a retailer. Do you have a wholesale option? A: Yes! We are happy to provide wholesale options to retailers nationwide. A minimum order of $175 is required for all new wholesale orders. Contact us to gain access to our wholesale catalog- A Valid EIN is required. Q: I love your work but I don’t see my neighborhood. Can I have a custom order made? A: Yes! We can do a personalized map of anywhere on the globe, just keep in mind some places have more “visual appeal” than others. Check out our Custom Orders page for detailed information. Q: Can I pick up my purchase rather than having it shipped? A: Unfortunately no customer pick-ups are available at this time. Q: Do you have a storefront I can visit? A: We are in the process of finding a new studio/retail location. if you have any ideas, feel free to message us! Q: What options are available for corporations/businesses? 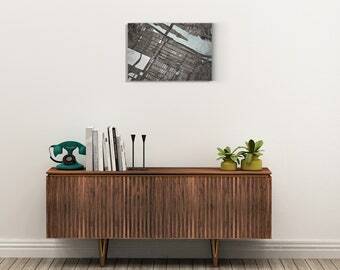 A: Browse our current product lines for an option that suits your needs or have a map custom made for your space! We have our work in corporate board rooms, start-ups, real estate offices, non-profits and more. Let us help you find the perfect solution. Contact us for more information. Q: What happens if I order a print online but change my mind when it arrives? A: All of our work is NON-REFUNDABLE. That means we don't give refunds for any reason. Please read our Returns & Exchanges page for more information. A: We have several options on our Etsy page. 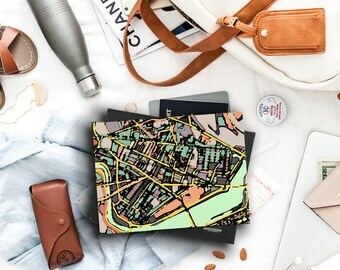 If you are looking for Carland Cartography merchandise (phone cases, greeting cards, etc) please go to our RedBubble page. In addition, you can connect with us on Social Media- including Twitter, Instagram, Facebook, Tumblr and Pinterest.